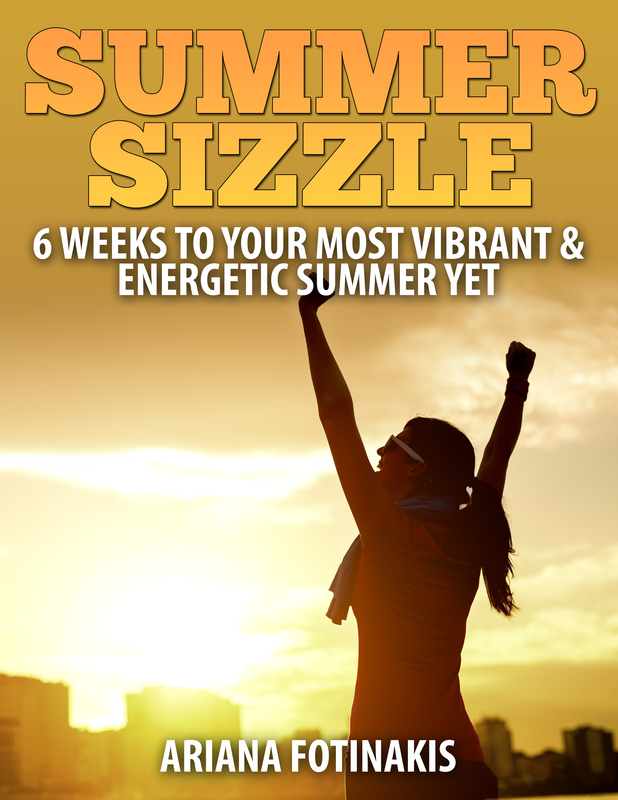 In other exciting news, I’m thrilled to announce that my Summer Sizzle program is now available for purchase! This is more than just a workout program; it’s your guide to your new healthy life! Among the 33 pages you’ll find six weeks of workouts divided into three phases, each with three weight training workouts, cardio guidelines, and fun wild cards that you get to pick from. There are guides on how to meal prep, what to stock your kitchen with, how to stay on track while dining out, and much more. I wanted to create a program that focuses less on creating your “summer bod” and more on improving energy, developing confidence in your ability to crush your goals, and educating you so you can navigate this oh-so confusing world of health and fitness. Gone are the days of missing outdoor activities with your friends because you don’t have the energy; the days of covering up on the beach because you’re worried about what others think; the days of going through your workouts without purpose and direction. I’m not promising that this program is going to give you a six pack. But I will promise you that if you work hard and do the exercises as prescribed, make some smart food choices, and give your body the rest it deserves, you’ll definitely notice some changes in your body composition. Not only that, as your strength grows so will your confidence, and you may find yourself throwin’ flexes in the mirror and struttin’ in your bikini without care. This program is priced at $20 which is an amazing value for all the planning and work that went into it. But I wanted to make this accessible to as many people as possible, and that’s not going to happen by charging and arm and a leg. I get that not everyone can afford a Personal Trainer, but that doesn’t mean they shouldn’t still get some help with reaching their goals! So if this sounds like something someone you know may be interested in, spread the word! I truly believe the information contained within is of huge benefit and my goal is to reach as many people as possible. Much of the content is geared towards women, mainly because I’m disgusted by the fact that there is such a large market that depends on women hating their bodies and feeling ashamed. It’s time for us all to break out of the mold and love ourselves regardless of the stage in our journey we’re at. With that being said, I don’t discriminate and am happy to help out the men too. These workouts can still be completed by you! This entry was posted in Fitness, Personal Training and tagged bodybuilding, cardio, diet, exercise, fitness, goals, health, healthy-living, inspiration, motivation, personal training, running, strength training, vancouver, weight lifting, weight loss, workouts. Bookmark the permalink. « Wheelchairs, Pancakes, and a New Training Program!